XDrawChem is a helpful, free (gpl) Mac software. Since the software joined our selection of programs and apps in 2012, it has obtained 17,477 downloads, and last week it achieved 58 downloads.Its current version is 1.9.5 and it has been updated on 19/06/2012. 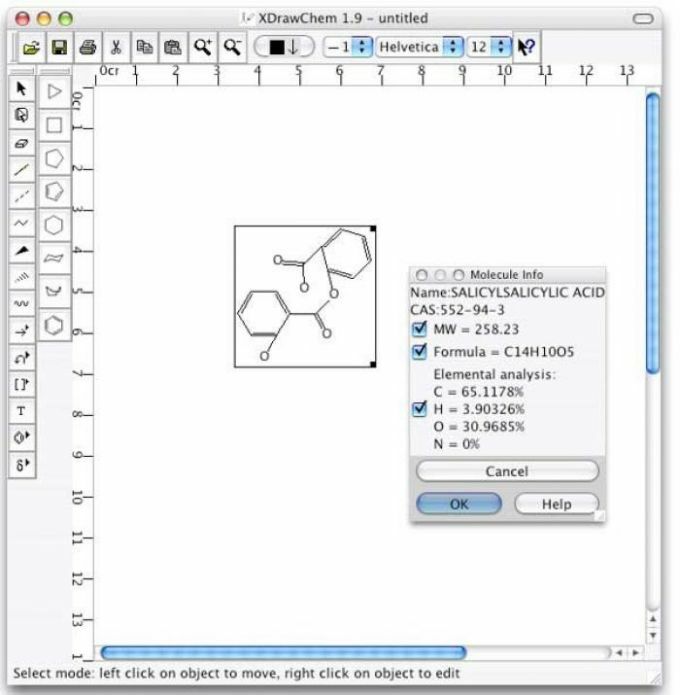 XDrawChem is available for users with the operating system Mac OS X and former versions, and you can get it only in English. XDrawChem is a reasonably light program that doesn't take up as much free space than many software. I think. no open when finished download. what happened? I want to download your program. Pros: I likes draw. What do you think about XDrawChem? Do you recommend it? Why?